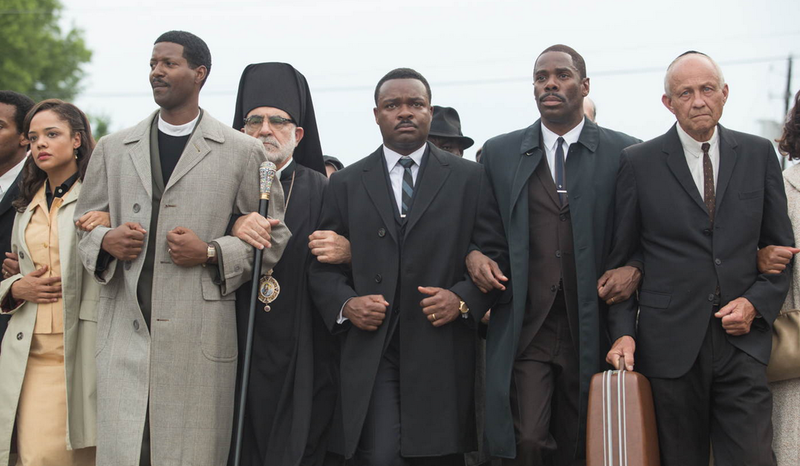 One of the unsung strengths of the recent film Selma is its soundtrack. With the exception of the celebrated, Oscar-winning, gospel-rap of John Legend and Common’s “Glory”, Selma is full of of 1960’s rhythm & blues that succeeds at being both understated and evocative. No huge hits are used, but the music still expertly and thoroughly channels the spirit of the American South during the 1960’s. Two of my favorites from the soundtrack are the slow-churning, sweaty R&B of “Ole Man Trouble” by Otis Redding, and the spare, acoustic blues of “Alabama Blues” by J.B. Lenoir, as he sings “I never will love Alabama / Alabama seem to never have loved poor me.” The songs’ lyrics give us a glimpse into the oppression felt by black Americans in the South, and you can almost feel the heat and humidity in the music.